Just a note before beginning! Even though plenty of literature available on studies on the relation of technology and cultural changes, I didn’t have much success on trying to find scholarships related to the impact of the printing press in the Renaissance in the 15th century, Italy until I read Elizabeth Eisenstein ’s book “the Printing Press as an Agent of Change” Therefore, I was not surprised when Eisenstein (1979) states that the advent of printing and fifteenth century cultural change has not been explored yet. One of the most important aspects of the Renaissance in the fifteenth century in Italy was the Humanism which refers to the return of the classical Greek. At that time the humanist movement was a success on the cultural stage. The humanists were more in tune with the intense Christian Renaissance society than other cultural movements. The Christian Petrarch and his followers achieved a high position for themselves and for the studia humanitates. It is known that they were wealthy, powerful and intellectual people. But historians such as Seigel (1968) argue that their place in the life of Renaissance Italy is arguably more complex than it seems. One of the arguments is related to the humanists’ prestige, which exceeded that of the medieval dictatores (Gray, 1963) that may have influenced in the fading of the scholastics’ popularity. Renaissance Humanism permeated through the fifteenth century, but it was not replacing medieval scholasticism. Literature shows that there was still a strong interest in scholastic philosophy. At the beginning of the century both of the two have their own place in the intellectual life of the time. While the humanists often succeeded in gaining the available university chairs in moral philosophy for themselves; the scholastics obtained theirs in logic. Humanism and scholasticism shared men’s attention inside as well outside of the universities. The Renaissance humanists believed that education should equip a man to lead a good life and knowledge was not merely to demonstrate the truth but to impel people toward its acceptance and application. They believed a man could be molded through ‘the art of eloquence’. They implied an almost incredible faith in the power of the word (Gray, 1963). Many Italian scholastic philosophers and theologians encouraged a positive attitude toward civic and practical life and opened the door for science as well. For Petrarch and his successors, Cicero’s oration Pro Archia was a sacred text. Gray (1963) argues that the pursuit of eloquence joined humanists of all shades; and to ignore the impact of eloquence and the ideas associated with it is to distort the mentality of humanism and disregard a vital dimension of Renaissance thought and method as well. To this extent, Eisenstein (1979) adds that there was evidence that the humanists mentality lacked modern perspective because they were focused on ancient poets belonging to a remote pre-Christian context. Since the invention of the press western culture lost its medieval characteristics and became distinctively modern. It was a shift from the hand written book to the printed one. 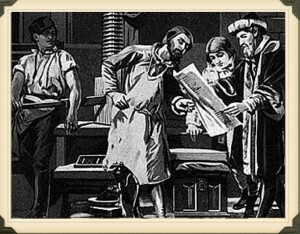 The name most associated with the press is Johannes Gutenberg (1397-1468) a German goldsmith whose great invention was not exactly the printing press, but the creation of movable, variable-width, metal type. 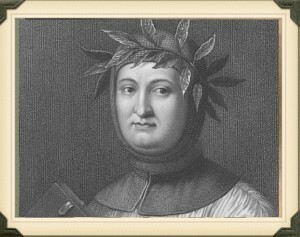 Petrarch’s revival of Cicero’s rhetoric was flourishing in Italy in the age of the hand-copied books. The book culture did not change much with the advent of the printing press. 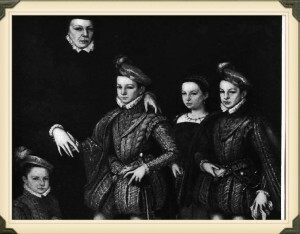 While there was no encouragement of the spread of the new technology, the advent of the press may have forced manuscript bookdealers, such as Vespasiano, to close their shops. On the other hand, Eisenstein (1979) argues that from the view point of most Renaissance scholars, the advent of the printing came too late to be taken as a point of departure for the transition to a new epoch. They believed it began with the generation of Giotto and Petrarch before Gutenberg. It was believed this technological and cultural change did not indeed concern the major cultural changes that had occurred under the auspices of scribes. Eisenstein (1979) remarks that the Italian Renaissance underwent a mutation after the advent of printing, but it does not mean that there was nothing else that may have affected the Renaissance before this event. But, what is the relation of the revival of rhetoric and the changes introduced by printing needs? Eisenstein (1979) mentions that in ‘The history of the book’ published by UNESCO Vervliet states: “It is not so much that printing made the Renaissance possible as that the Renaissance contributed to the successful spread of printing’. Did printing make Petrarchan revival possible? How? 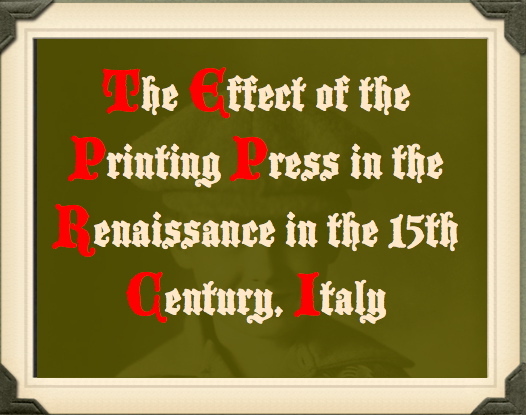 How did the Renaissance contribute to the spread of printing? Eisenstein (1979) argues the persistence of the notion that printing came as ‘by-product of the Renaissance spirit.’ What was the spirit? In fact the first attempt to use the benefits of the printing press as new medium to arouse widespread mass support was not in connection with Italian humanism but with a late medieval crusade, which was the war against the Turks. It is difficult to establish the impact of the printing press in its first century especially on a very conservative and religious society. The scribal culture revered the ancients because they were closer to uncorrupted knowledge, which was not yet corrupted through the process of scribal transmission (Dewar, 2000). It had to pass a full century before the outlines of a new world began to emerge. Eisenstein (1979) argues that by 1500 various printed materials were already being registered. But, the number of books produced was not much different from the number produced by scribes. The impact of print on education may have been hidden or delayed since it could have no effect on unlettered folk; it affected only a very small literate elite recording more sermons, orations, adages and poems in order to serve the needs of preachers and teachers pursuing traditional Christian ends. By the time a new approach in education had emerged it was called “New Learning” . It sought to learn from classic texts that the medieval texts did not address, but without challenging the Christian belief. Dewar, J. (2000). 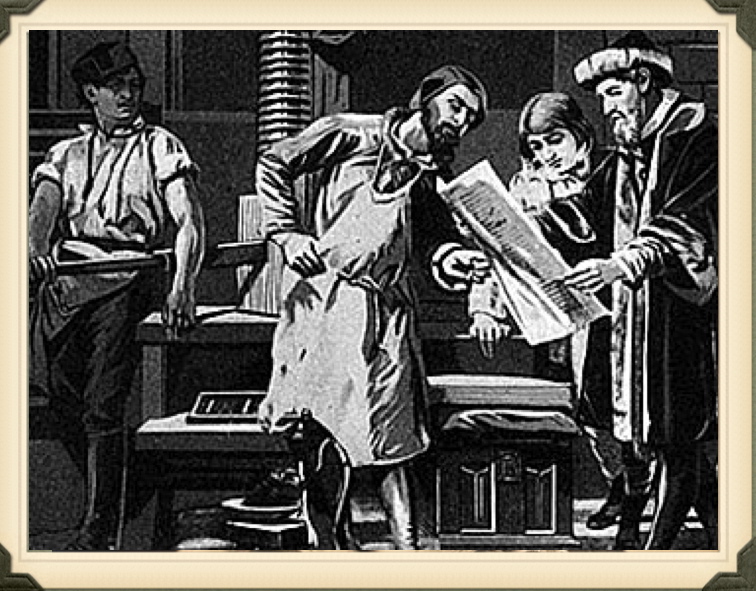 The information age and the printing press: Looking backward to see ahead. Retrieved from: http://portal.acm.org/citation.cfm?id=347634.348784archive Volume 2000. Eisenstein, E. (1979). The Printing Press as an Agent of Change: Communication and cultural transformation in early modern Europe. (2 Vol.) UK: Cambridge University Press. Gray, H. (1963). Renaissance Humanism: The pursuit of eloquence. Journal of the history of ideas, Vol 24, No. 4, pp.497-514. Seigel. J. (1968). Rhetoric and philosophy in Renaissance humanism: The union of eloquence and wisdom, Petrarch to Valla. New Jersey: Princeton University Press. It is an interesting idea that the printing press, and mechanized production of books, was more of a symptom of the change in thought and scholarship than the ‘agent of change’ itself. It is so often presented as the thing which brought about modern thought, that it is curious and interesting to think of it as the product. It challenges the technological determinism argument very well. Do you think that digital writing, and the word processors, hypertext and the other wonders of the ‘digital age’ are also products of a change in the way we think as opposed to a product of processing capability? I wonder if using computing power to create written works came about through a need or a desire to produce less linear works, or to write in a different way? It may be that we are too close to the change to develop the perspective needed to see clearly if there was/is a significant change in thought that preceded word processing. I enjoyed reading your paper about the printing press. I found the idea that the printing press was more of a change in thought mainly with scholars rather than an instrument of change very interesting. The fact that many who lived during that time were unaware or not informed of the potential and impact of the printing press. The assessability of communication is a fundamental determinate.